Brisbane is the capital of Queensland and a central spot for prime vacation destinations like Sunshine Coast and Gold Coast. 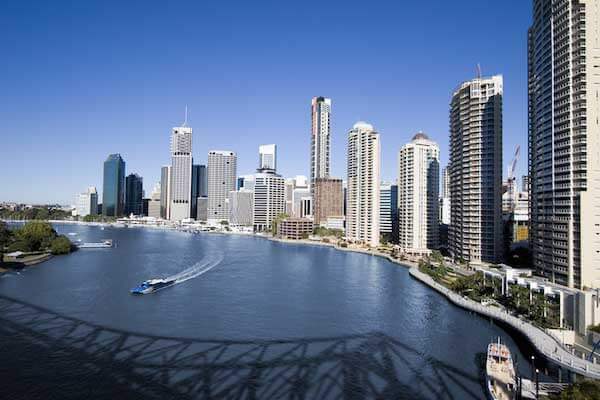 Located in the heart of Sunshine State, Brisbane is known for idyllic subtropical weather every time you visit. Whether you’re looking for luxury travel, dining, shopping or a little fun in the sun, Brisbane has an option for you. Things to do in Brisbane include Alma Park Zoo, Lone Pine Koala Sanctuary, Brisbane Powerhouse, QPAC, Sea World Gold Coast, SkyPoint Observation Deck, Kurrawa Surf Club, and The Queensland Museum. No matter if you’re visiting for business or pleasure, a private transfer in Brisbane can help keep you on the GO! From Brisbane shuttles to private car hires to RideShare services, REDY2GO is ready for all your transportation needs in Queensland. A Brisbane shuttle can provide fast and convenient services to or from Brisbane Airport (BNE). Brisbane Airport is one of the busiest airports in Australia; making door-to-door car hires a necessity. Airport Transfers are available to Brisbane, Gold Coast, Broadbeach, Main Beach, Surfers Paradise, and more. A private ride can help transport you to your Brisbane hotel, convention centre, Brisbane Airport, or any destination of your choice. Reserve hotel and airport shuttles to Brisbane, or private charter shuttles to Brisbane art exhibitions, the ballet, sporting matches, the theatre, large stadium music tours, festivals and more. Our shuttles are also perfect for Backpackers in Brisbane. Head to hostels, landmarks, and more. REDY2GO Shuttles also provides transportation services to amusement parks in Gold Coast like Sea World, Wet'n'Wild Gold Coast, Warner Bros. Movie World, and Dreamworld. Contact us today to reserve your next Brisbane shuttle service with REDY2GO. 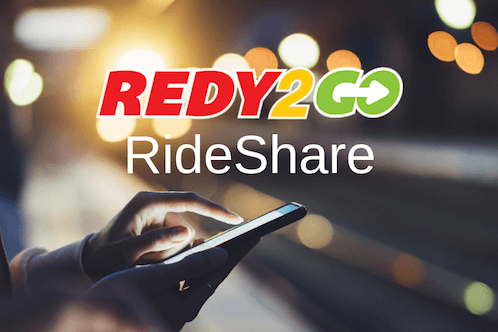 REDY2GO also offers RideShare services in Brisbane. Our Rideshare services in Brisbane, Gold Coast, Surfers Paradise, Broadbeach, and Main Beach are the perfect alternative to chauffeured car hires and ideal for airport transfers. Find out more about our RideShare Brisbane services.